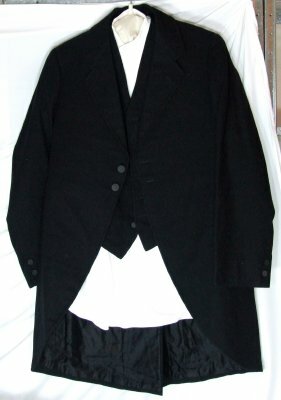 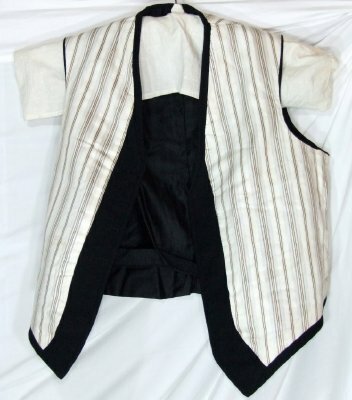 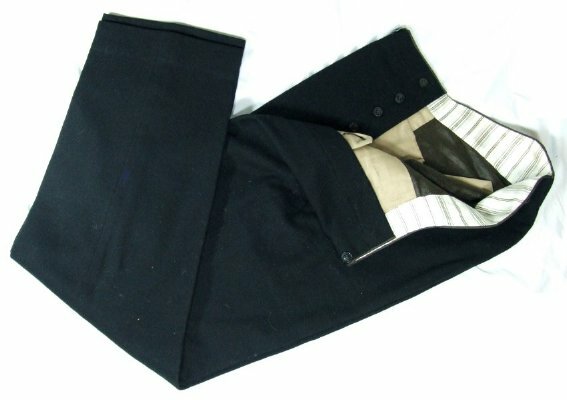 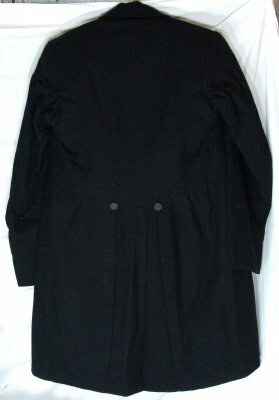 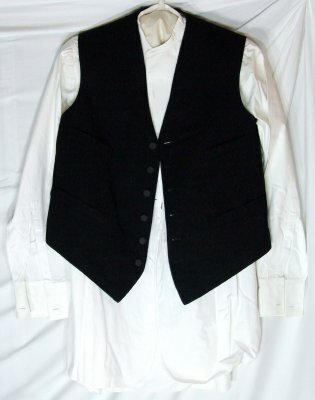 Description Black three piece man's suit consisting of trousers, jacket and vest. 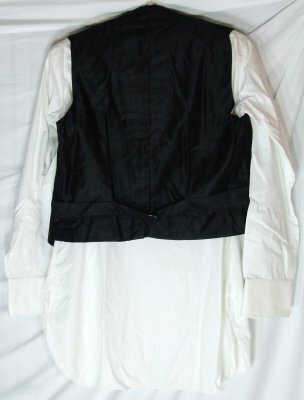 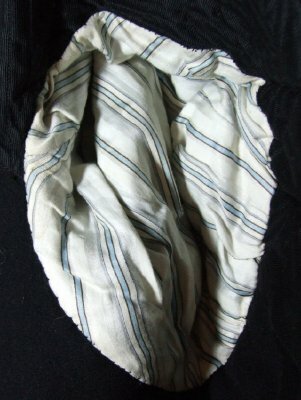 The jacket appears to have originally had tails which have been removed. 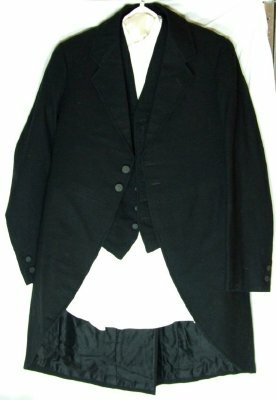 The suit was made by Walter Cook, tailor of Picton [he leased his shop in High Street, Picton, from 21 February 1914 to 21 January 1917] and the owner of the suit, Mr. George William Houghton Cawte (1850-1944), may have ordered it for his wedding when he married Miss Lillian Heron on 14 July 1914. She is the daughter of Reverend A.H. Heron, Vicar of Havelock. 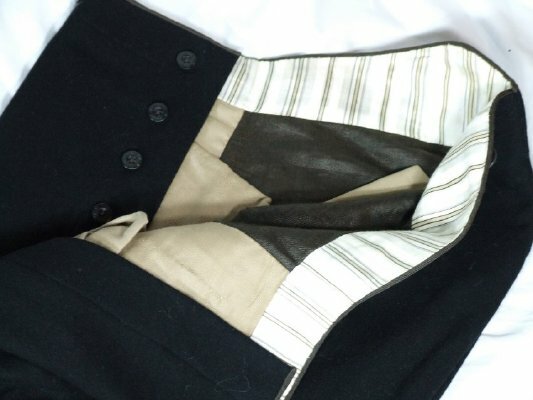 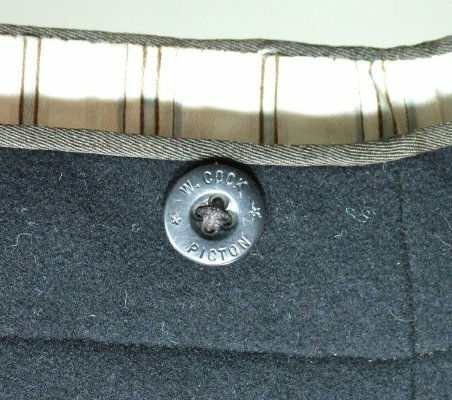 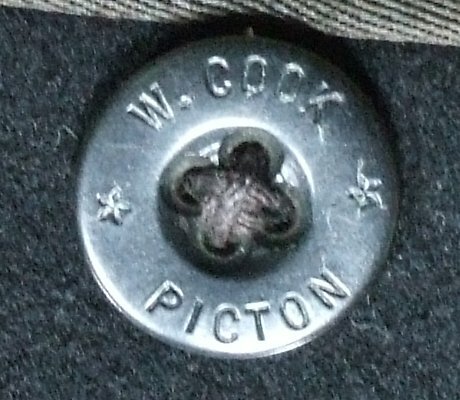 The trousers have buttons with the "W. Cook, Picton" on them.